Our 18th My First I Can Read Adventure! It’s Read to a Pet Day at the library! There are so many fun things to see and do! Biscuit plays with story-time puppets, visits with friends, and listens to recorded books. Before he goes, a librarian helps him find the activity that he loves most of all. Biscuit Loves the Library is a My First I Can Read book, which means it’s perfect for shared reading with a child. 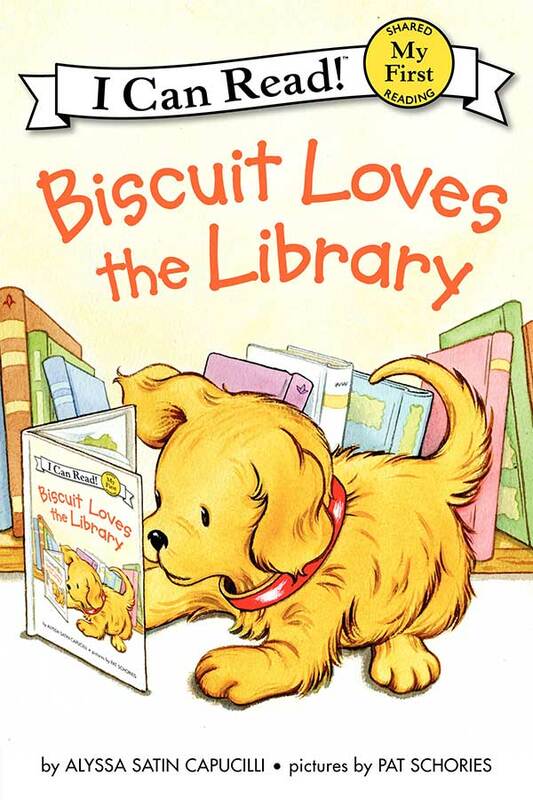 The easy-to-read, joyful tale of Biscuit—everyone’s favorite little yellow puppy—will help cultivate a love of books and libraries in children who are learning to read.